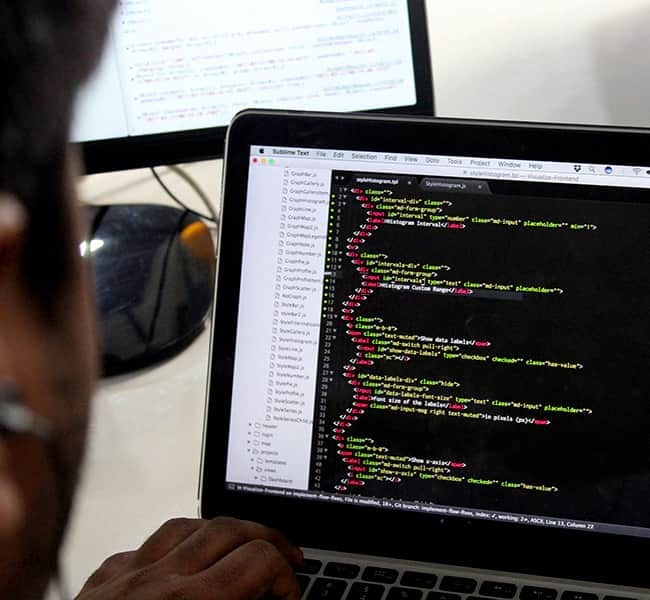 Work at the intersection of data, technology and development to make India data intelligent. Join the Data for Impact Fellowship. The problem doesn't end with data and technology solutions. It starts there. 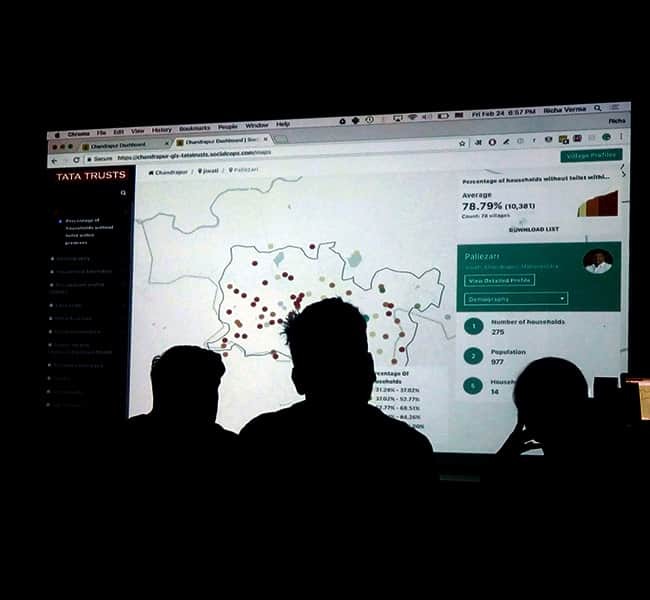 The Data for Impact Fellowship is a unique opportunity where fellows partner with leaders in government, bilateral organizations, foundations and nonprofits — ranging from Ministers, CEOs and District Collectors — to implement a scalable data intelligence solution. 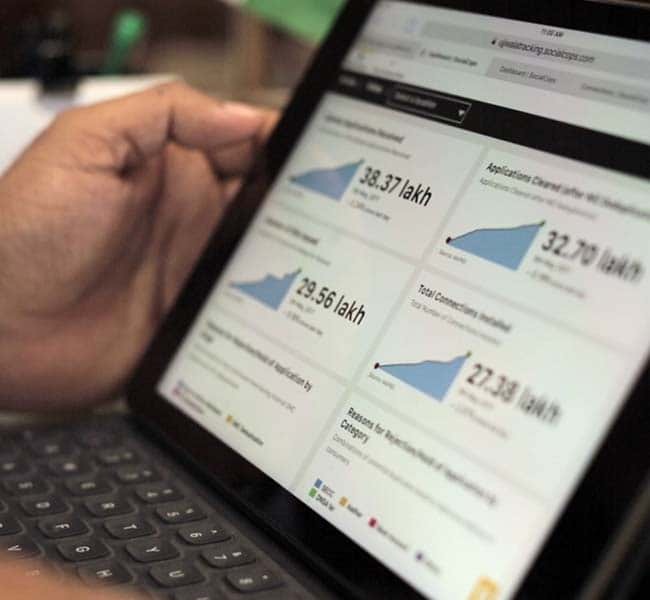 The Fellowship seeks to bring together young, enterprising future leaders with experienced leaders in the development sphere to use the power of data to solve some of India's most critical problems. Most often than not, government administrators or leaders in foundations are either crunched for time or don't have the support they need to use data. They end up digging through physical files, printing tons of reports, and looking at many data points in silos, which keeps them away from the right insights they need. 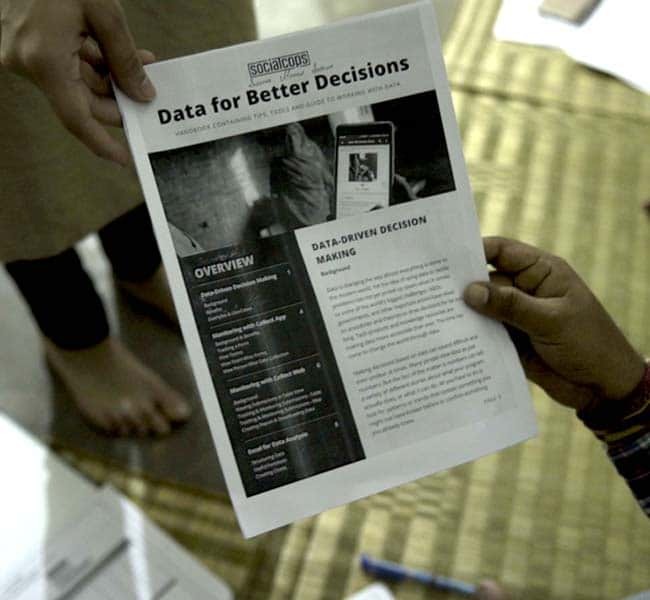 Data for Impact Fellows will empower decision-makers to use data and technology to overcome these challenges, find meaningful insights, and make their decisions more effective and data-driven. What will a Data for Impact Fellow actually do? The Fellowship is a chance for individuals to design, implement, and scale data intelligence solutions with governments, nonprofits, and foundations to drive impact. Be an advisor: Undertake field visits and liaise with the Minister's team and senior bureaucrats to understand their challenges and understand what kind of insights will be critical for them. Be an architect: Use data analysis skills to bring together, process and represent data, as well as give recommendations to improve the Ministry's current data systems. Be an educator: Create learning materials and courses to onboard stakeholders to the new system and help them make their decisions more data-driven and effective. Build cutting-edge data collection, management and visualization infrastructure, and improve it with every new project. Extract, structure and analyse the toughest data sets to build a formidable data repository that can improve any decision. Undertake rigorous research on diverse sectors like education, micro-finance and health to gather intelligent insights. Break down complex problem statements and match them with available data and technology to create scalable solutions. Work with government leaders to execute large-scale policy projects. Engage, manage and support multiple stakeholders at every level. Build and drive relationships with key partners in governments, legislatures, foundations, and multilateral aid agencies across India. Develop and run a series of training workshops to train government staff and village volunteers on, for instance, capturing mobile data. Provide policy leaders with the data and insights they need by creating engaging resources, such as MOOCs, newsletters and guides. 33 million beneficiaries. 10,000 new LPG centres. 6.9 million data points. 900 surveyors. 290 villages. 100 million data points. 250,000 households. 1,200 surveyors. 1.5 billion data points. 41 national schemes. 1 dashboard. Applications are currently closed. Leave your details to stay updated with news about the next cohort. In a span of 30 days, I was working on some of the most impactful projects , meeting with top government officials to drive change, stepping out of my comfort zone every morning and learning at each step. And I am achieving this by doing what I love – playing with data! Having the chance to work as a DFI fellow has been a once in a lifetime experience. I don't think there's a better opportunity out there for someone who wants to work in the tech or data for impact space. The learning opportunities and culture at SocialCops are absolutely world-class. The DFI Fellowship allowed me to truly bring together my interest in data and policy analysis with my passion for development causes. Not only was this experience a great learning opportunity, but it gave me a glimpse into one of the best company cultures I have experienced, where everyone is equal and has an immense zeal to learn. The Fellowship is a unique opportunity to drive large-scale development across the world using data intelligence. Learn more about the vision behind the Fellowship, what data-driven development really means and some other FAQs. Who supports the Data for Impact Fellowship? The Fellowship is managed by SocialCops. We are a data intelligence company that powers leaders in 200+ organizations, including the Government of India, United Nations, World Bank, across 50 countries to make data-driven decisions. What is the nature of the Fellowship? It is a full-time commitment based out of our office in New Delhi, India that may involve extensive travel throughout India, and cannot be pursued alongside any other part-time or full-time professional engagement. What is the duration of the Fellowship? Who all can apply? It can either be short-term (6 months) or long-term (12 months) depending on a case-by-case basis. The Fellowship is open to every individual above 18 years of age. What is the application process? How do I apply? The application process consists of 4 steps - An online application form, problem-based task(s), telephonic interview and in-office interaction. Get started on your application here. Does the Fellowship require any special experience, skills or qualifications? No. An ideal Fellow is expected to have a passion for data and a basic understanding of how governments function. Prior experience in data, technology or policy is a plus, but not mandatory. Will Fellows be provided a stipend? Yes, each Fellow will be provided a fixed stipend throughout the Fellowship. Any official or business expenses shall be reimbursed accordingly by SocialCops. What is the application cycle? How many Fellows will be selected this year? Applications are currently being accepted on a rolling basis. There is no fixed number of Fellows in each cohort, we shall evaluate each application and accept all deserving candidates. What happens upon completion of the Fellowship? Each Fellow will be provided a certificate of completion, a recommendation letter, and a full-time opportunity to join the SocialCops team may be evaluated. Know someone who would be perfect for the Fellowship? Share the opportunity with them!